The Minnesota Lynx improved to a franchise-best 15-2 overall with their 81-66 win over the Phoenix Mercury on Sunday in St. Paul. After trailing 42-38 at halftime, Minnesota went on to have a big third quarter run to come back and beat Phoenix. The Lynx outscored the Mercury 29-11 in the third quarter and ended up going on an 18-0 run near the end of the third frame. Minnesota was sparked in that quarter by Sylvia Fowles with seven points and two rebounds and Renee Montgomery with six points and two rebounds. 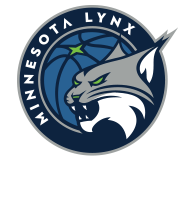 The Lynx went on to outscore the Mercury 43-24 in the second half after trailing by as much as six in the opening half. 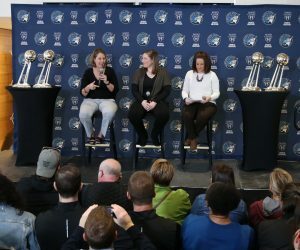 Maya Moore said after the game Sunday that the Lynx are able to succeed thanks to their bench. She said the stronger their defense is, the better they are. In their second-half comeback against the Mercury, the defense was a big factor. In the first half, Minnesota’s defense hit a snag, allowing Phoenix to shoot 58.3 percent from the field. That resulted in the Lynx falling behind heading into halftime. In the second half, Minnesota held Phoenix to 27.8 percent shooting from the field and the Mercury ended up scoring just 24 points in the final two frames. 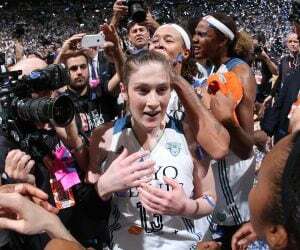 The Lynx bench played a big role in coming away with the win on Sunday night. Led by Jia Perkins with a season-high 13 points, two rebounds and two steals, Minnesota’s bench tallied a season-best 33 bench points and outscored the Mercury bench 33-26 in the game. Montgomery added 10 points and two assists and Plenette Pierson finished with 10 points and two rebounds for the Lynx. As for the starters, Fowles led the way with 18 points and five rebounds. 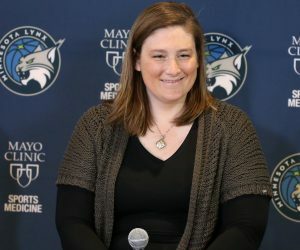 Rebekkah Brunson had 11 points and four rebounds, Moore had nine points and nine rebounds, Seimone Augustus had six points and three assists and Lindsay Whalen added four points and two steals. 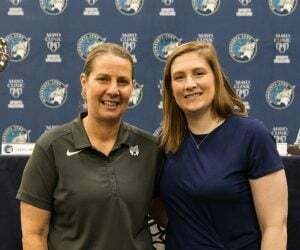 The Lynx are back in action on Wednesday when they take on the Dallas Wings at noon at Xcel Energy Center in St. Paul. The game is aired on Fox Sports Go and 106.1 BOB FM.